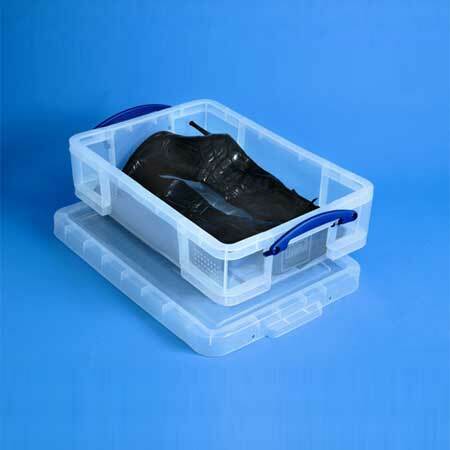 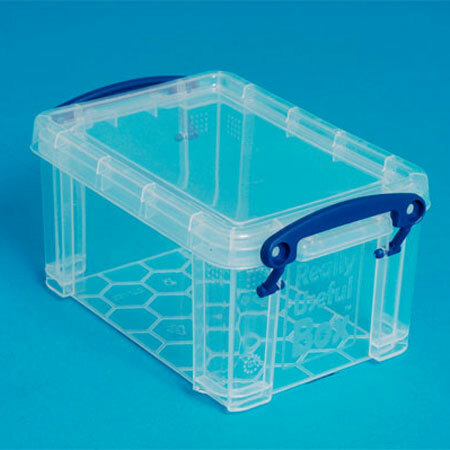 Trade Systems have huge stocks of the really useful boxes, sizes range from 0.07 litre to 145 litres. 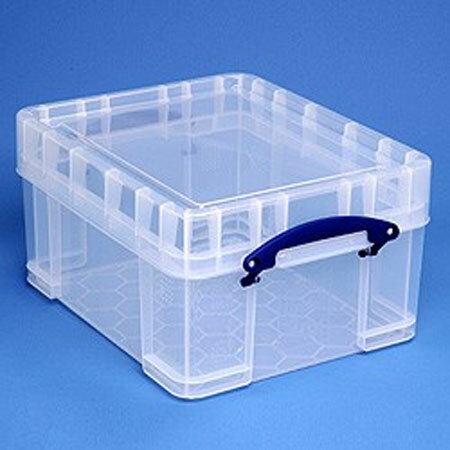 All the boxes are manufactured in the UK. 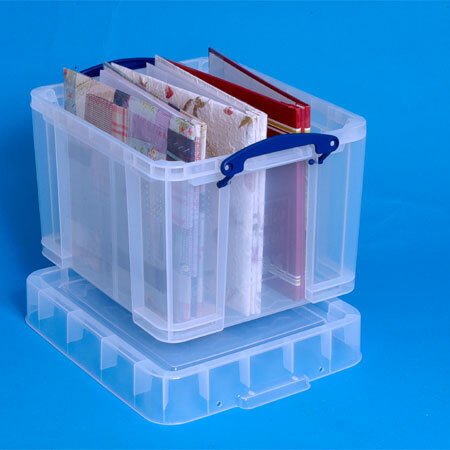 Really Useful Boxes are strong, stacking storage boxes. 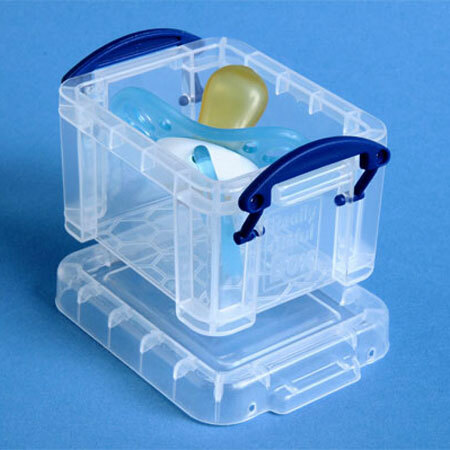 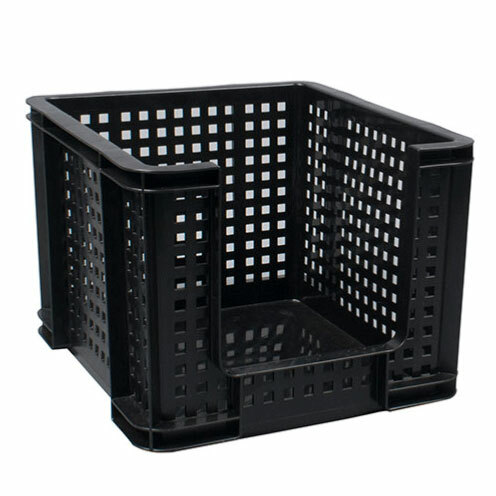 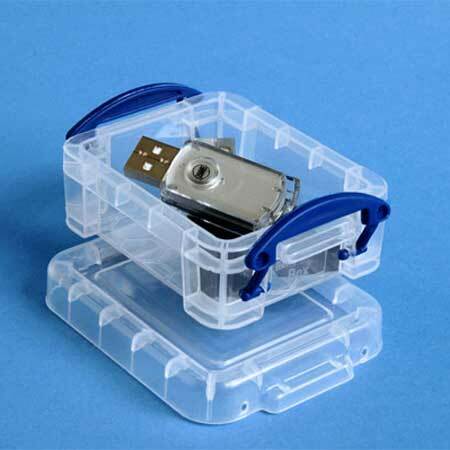 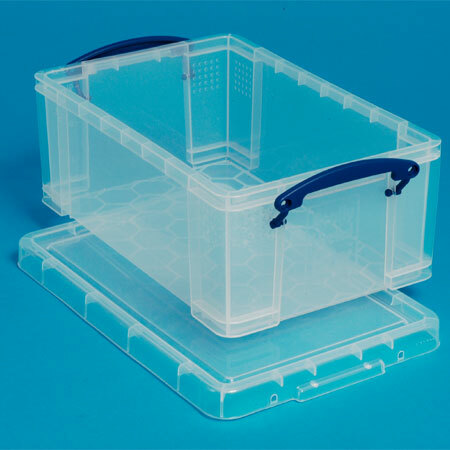 Each box is supplied with a removable lid, which is held securely in place by locking bars at each end attached to the box itself. 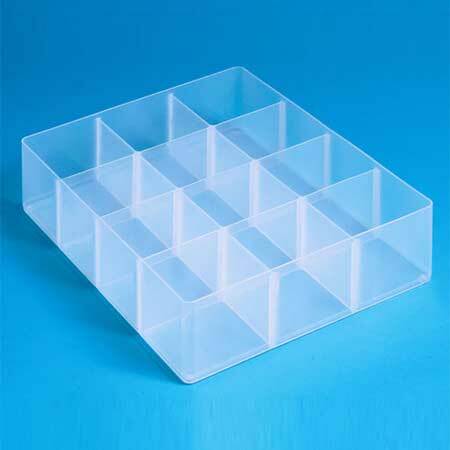 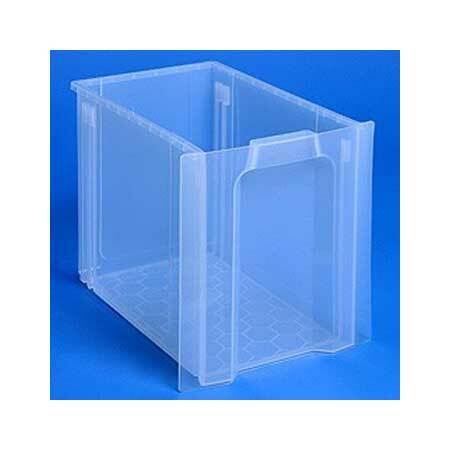 The boxes are supplied in a clear transparent material. 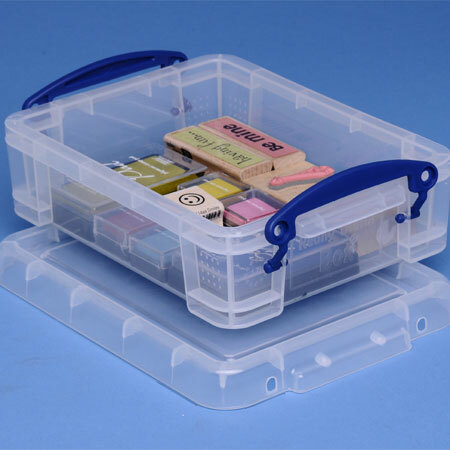 This is by far the most popular option and allows you to quickly and easily identify the box contents. 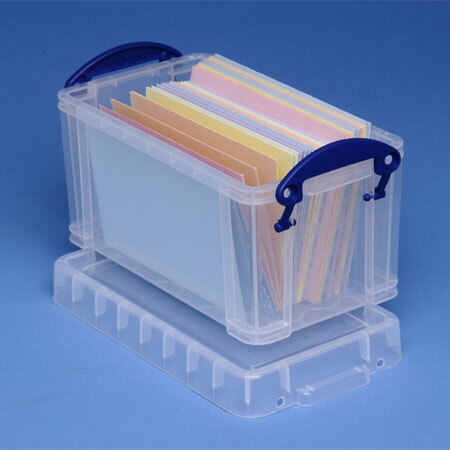 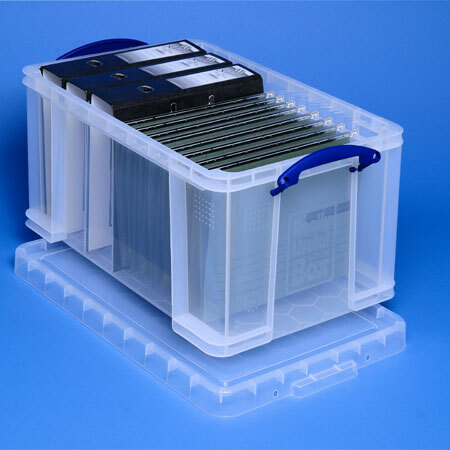 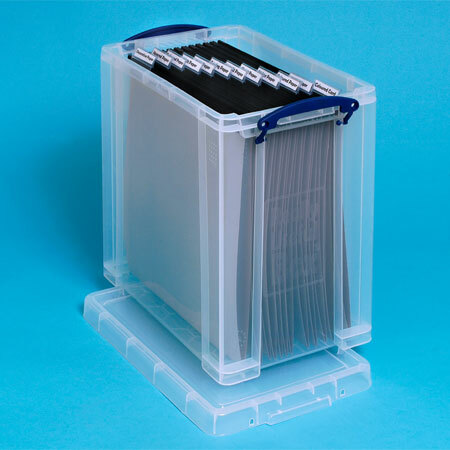 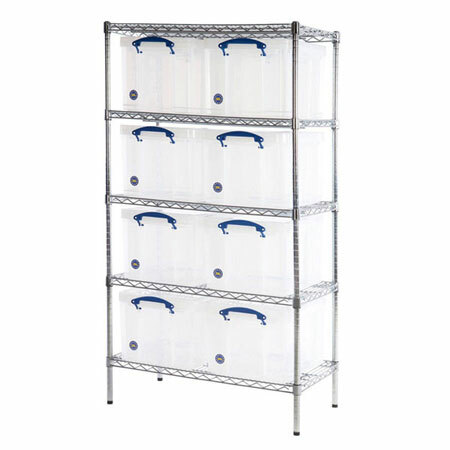 As part of the really useful storage box range we have five separate sizes that accommodate office suspension files. 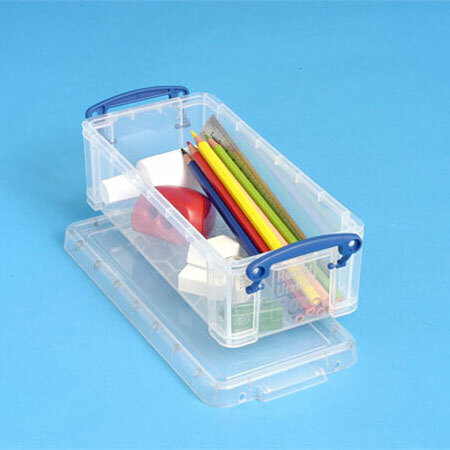 This makes the product ideal within an office environment. 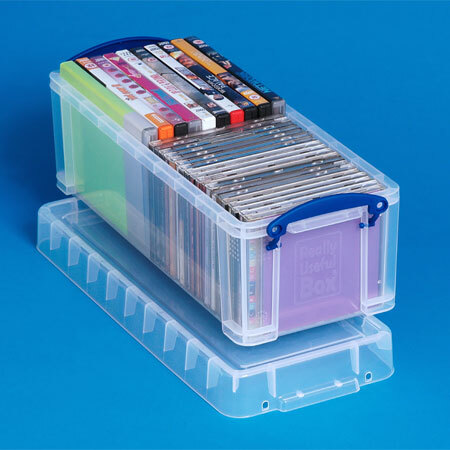 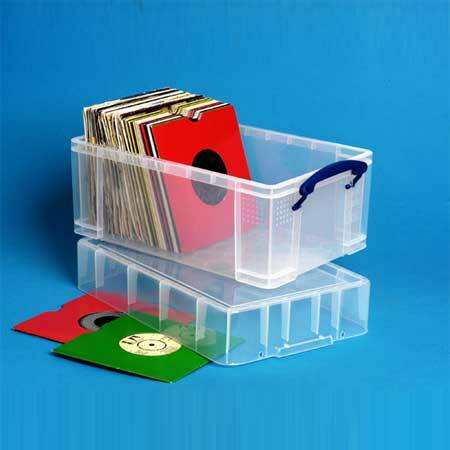 We also have a range of four boxes specifically for CD storage, DVD storage and Multimedia storage. 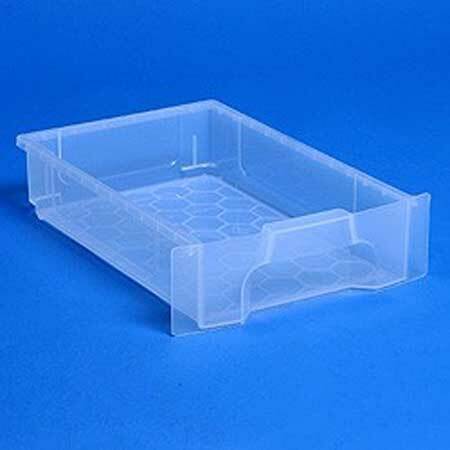 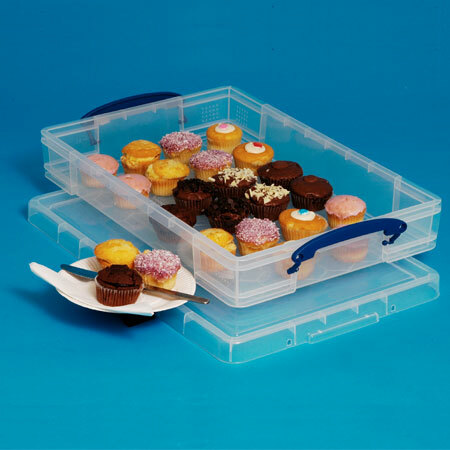 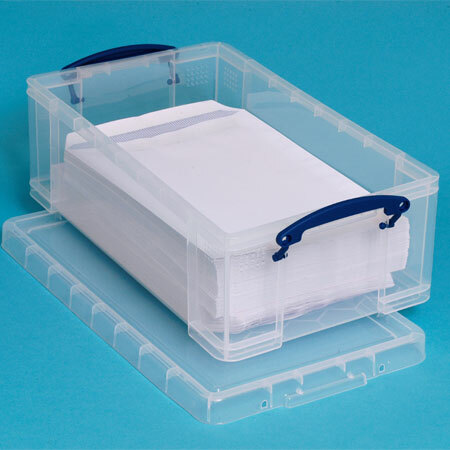 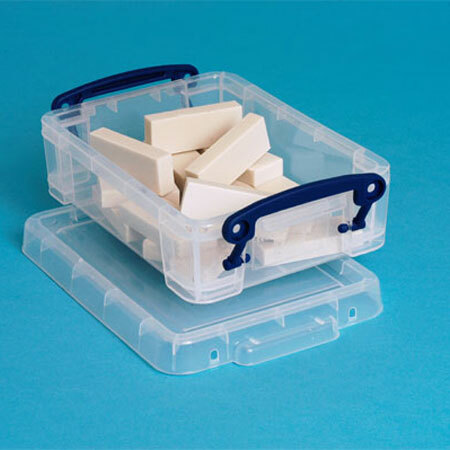 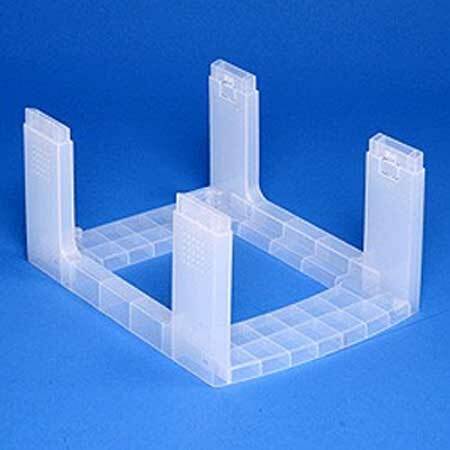 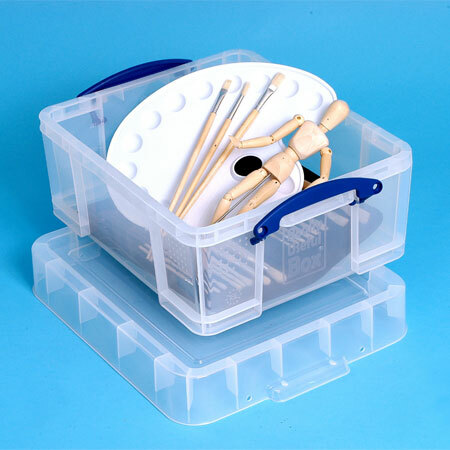 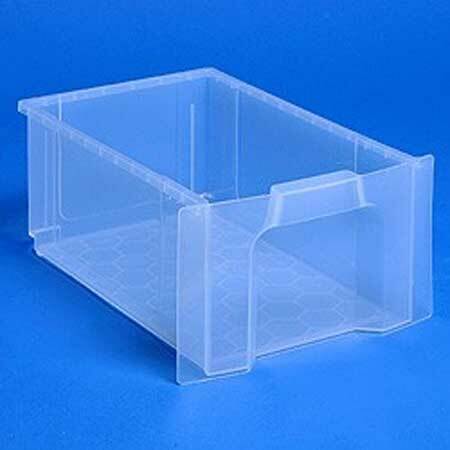 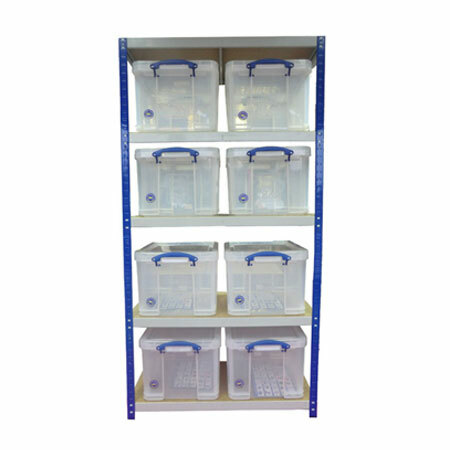 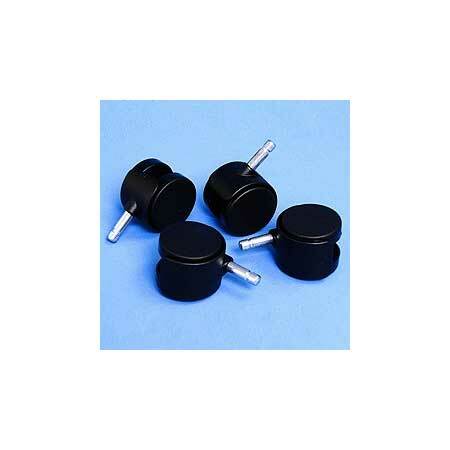 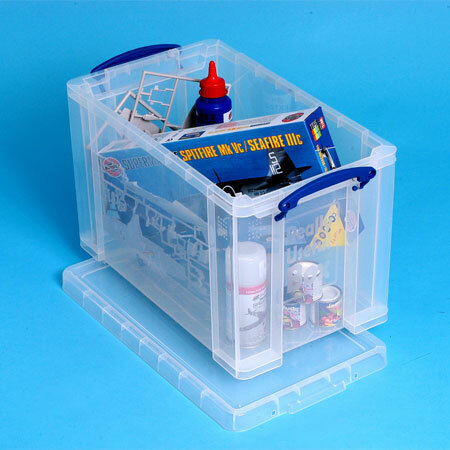 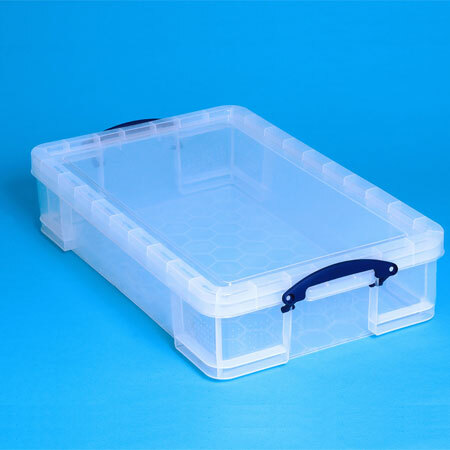 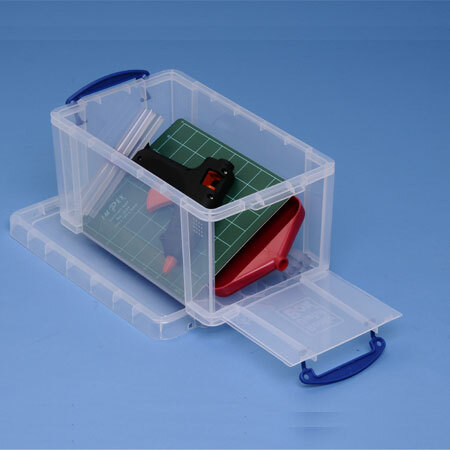 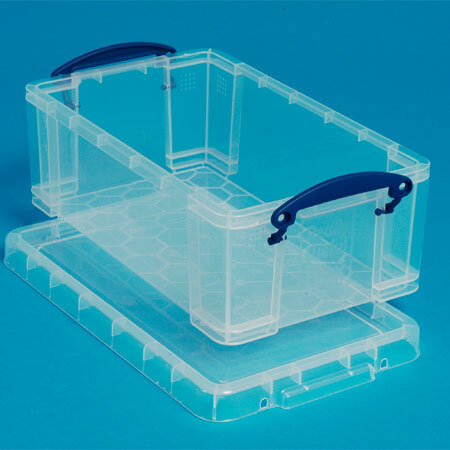 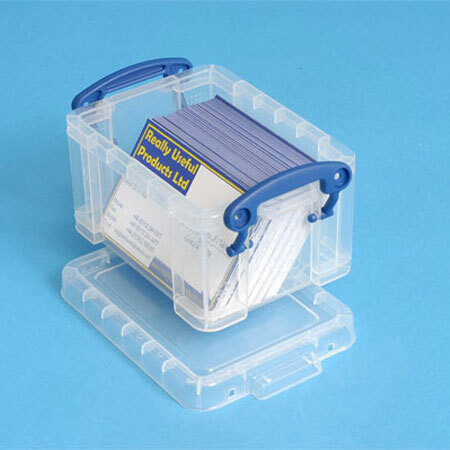 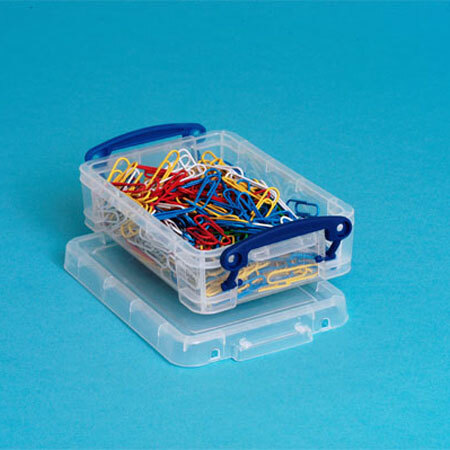 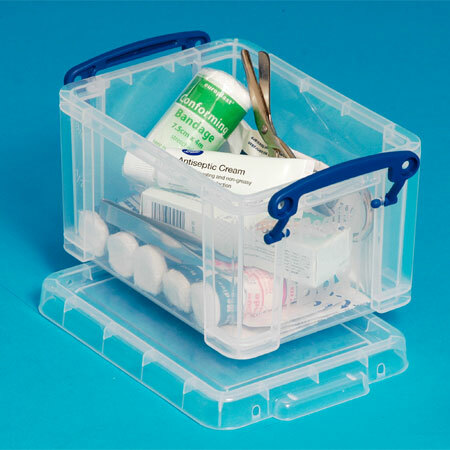 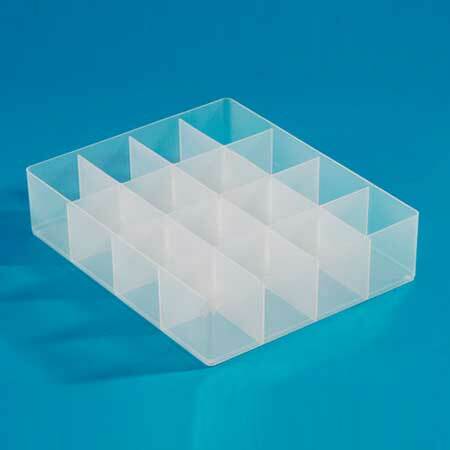 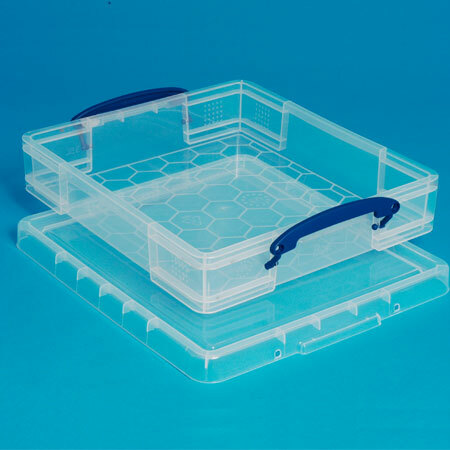 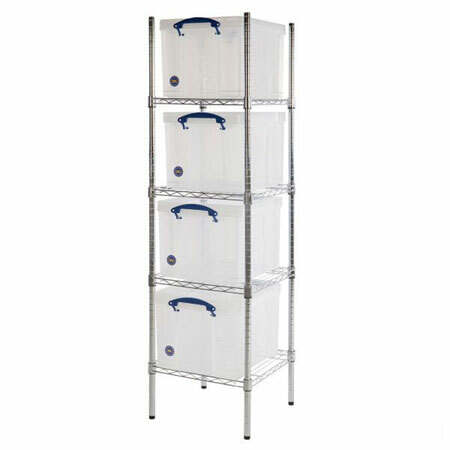 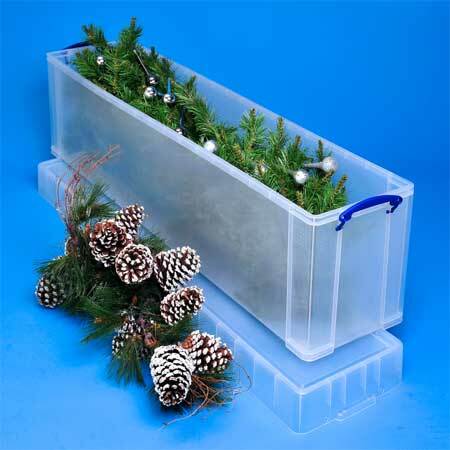 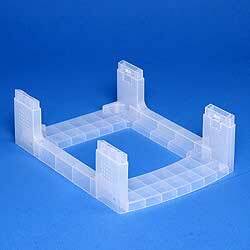 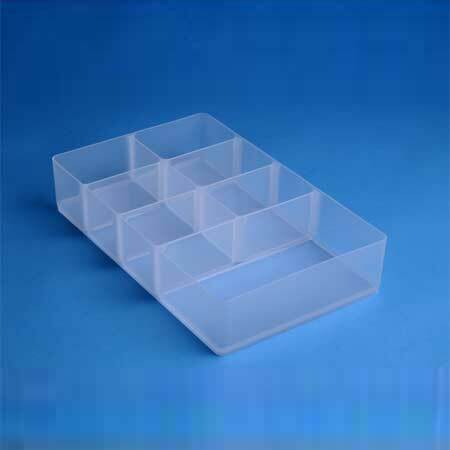 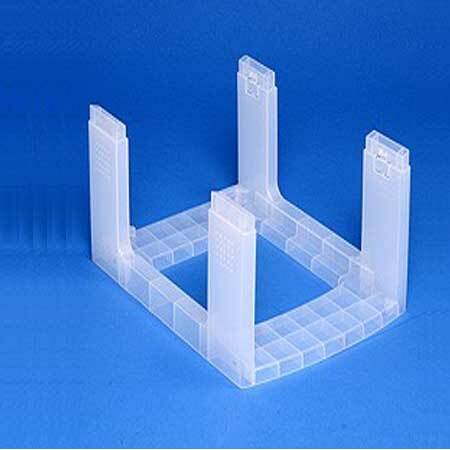 To support our Really Useful Boxes we have a full range of accessories that include container dividers, tamper evident pins, dollies, trolleys and racking. 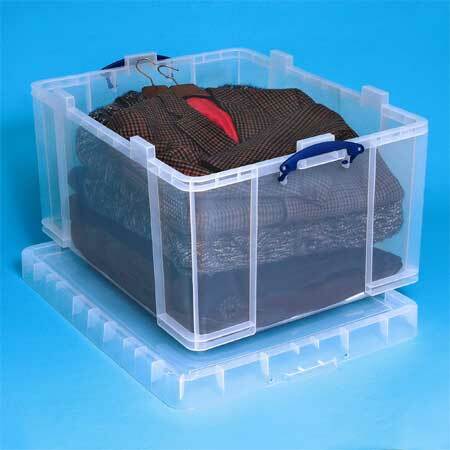 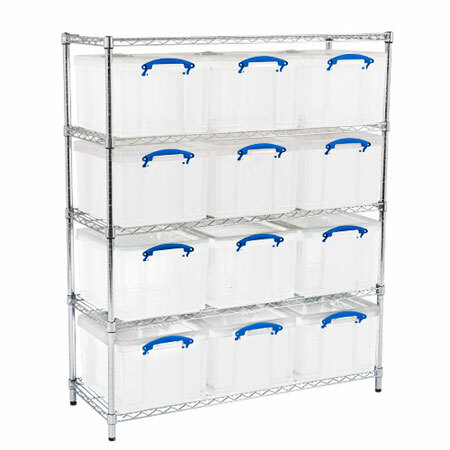 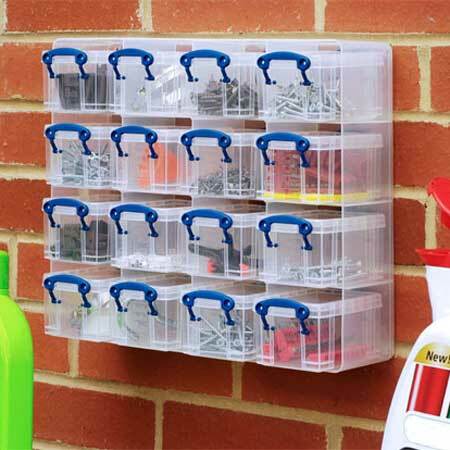 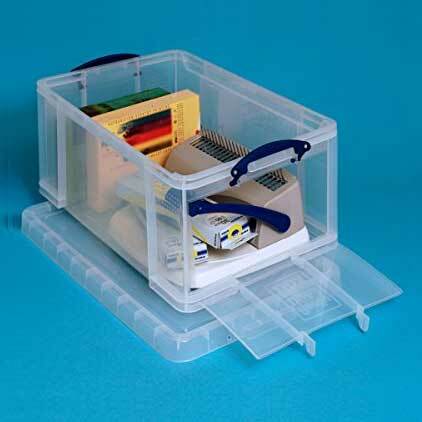 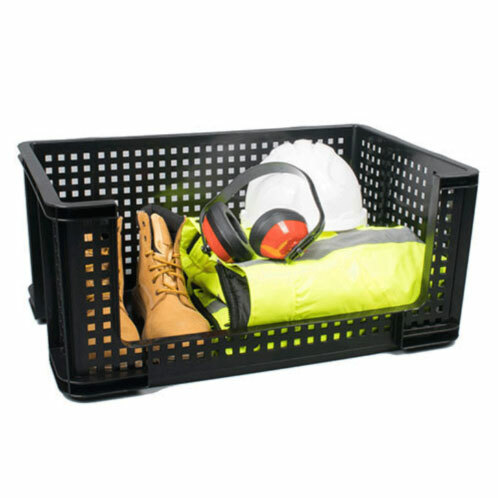 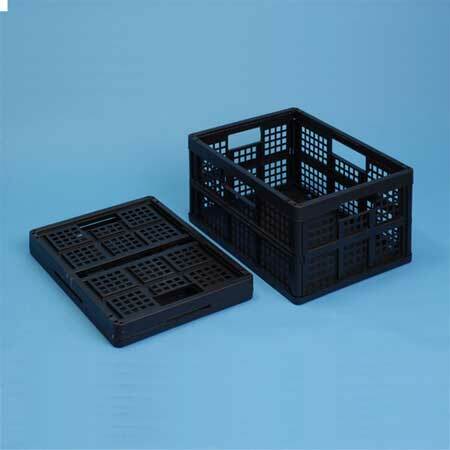 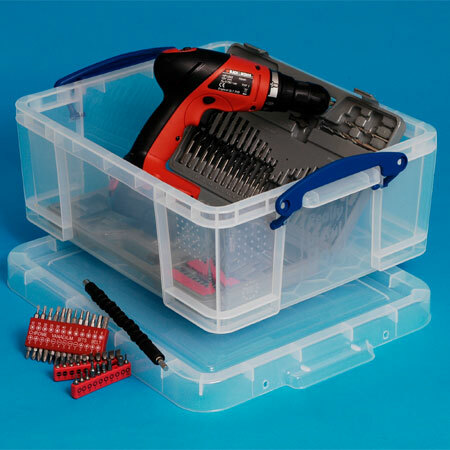 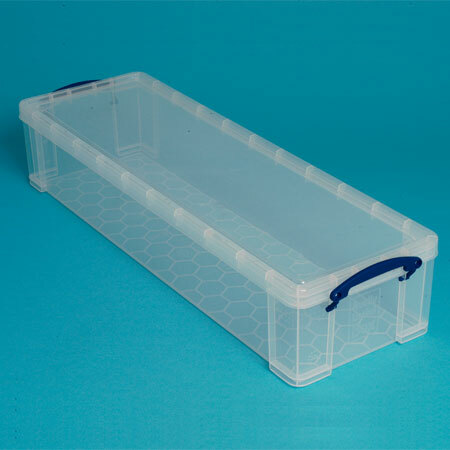 If you have a storage need that requires boxes then our range of Really Useful Boxes will offer you a solution. 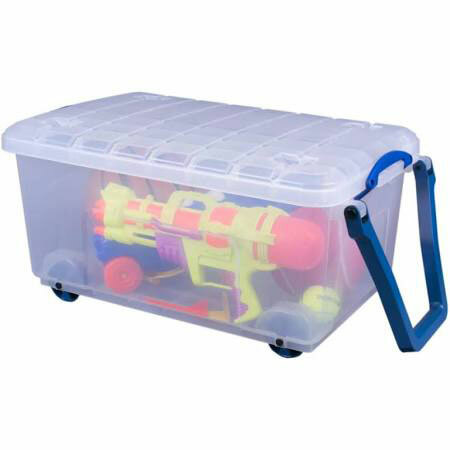 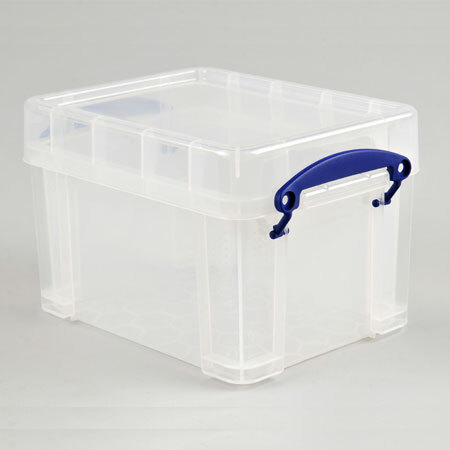 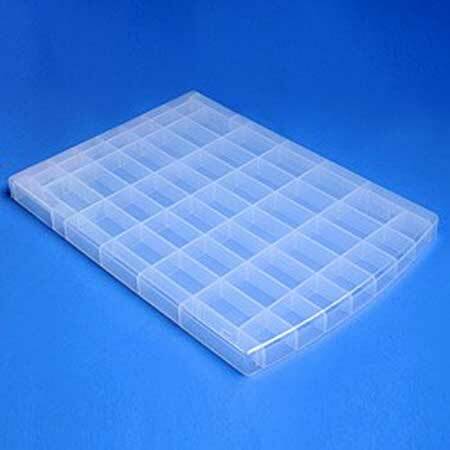 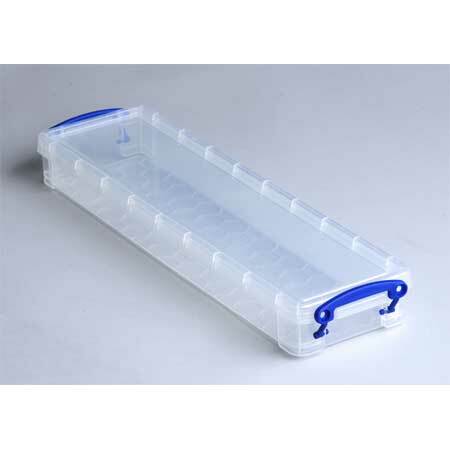 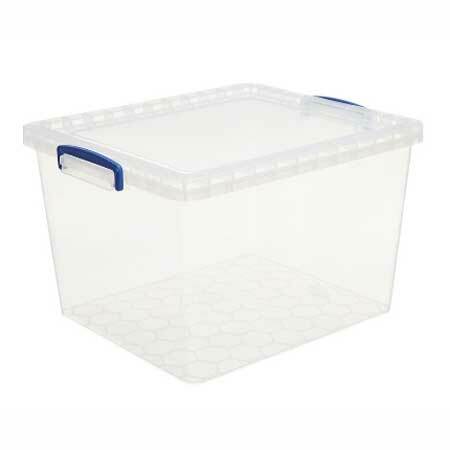 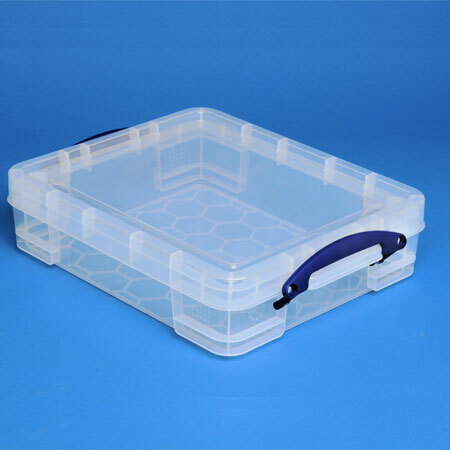 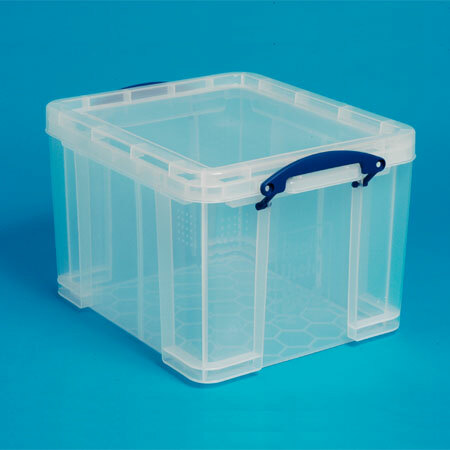 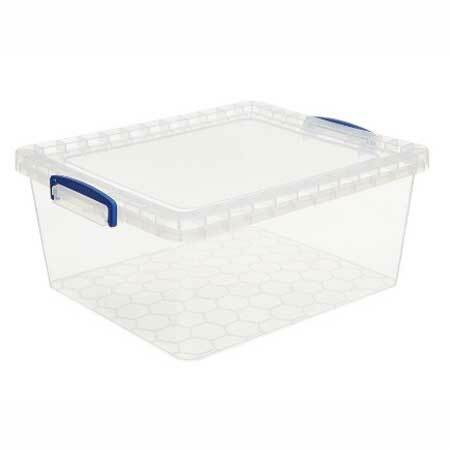 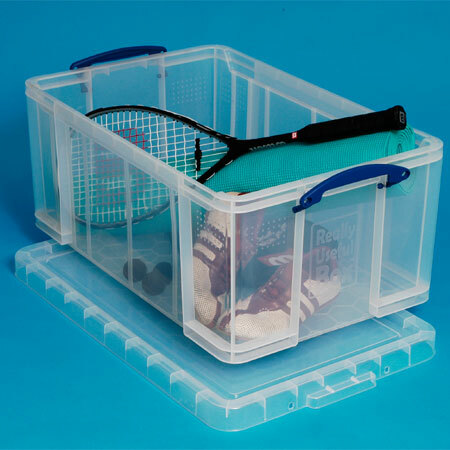 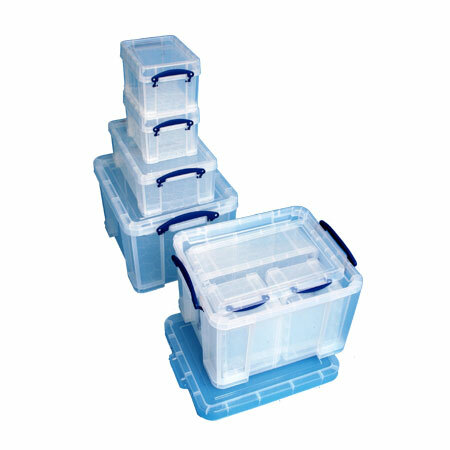 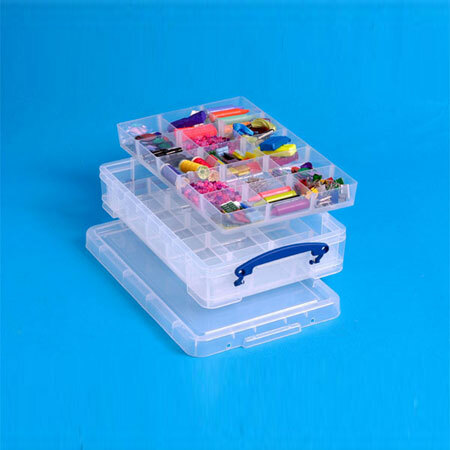 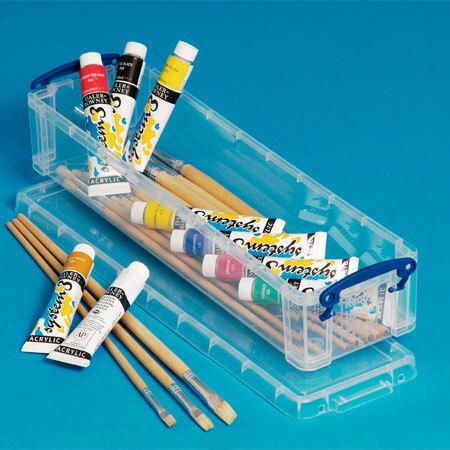 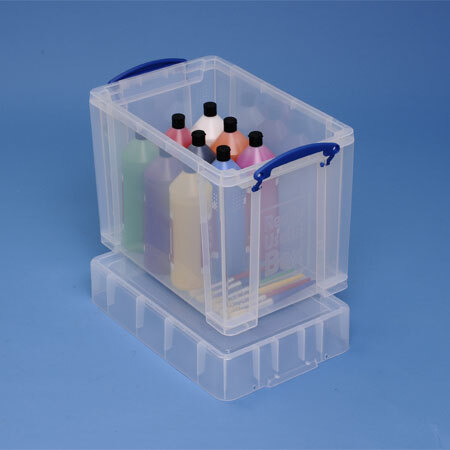 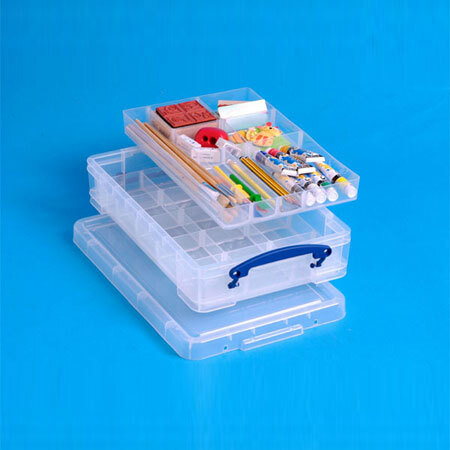 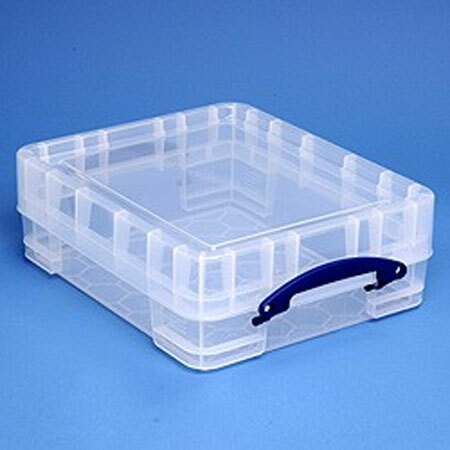 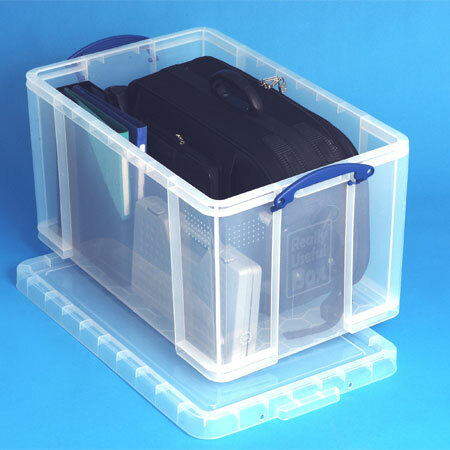 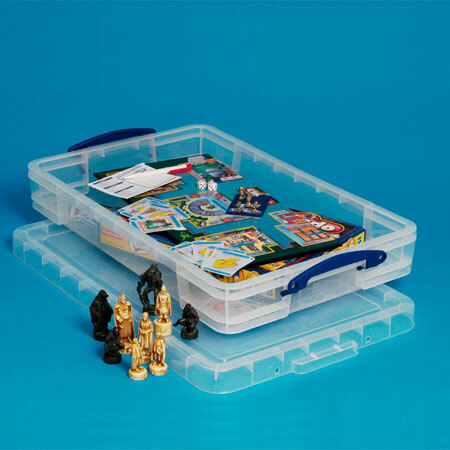 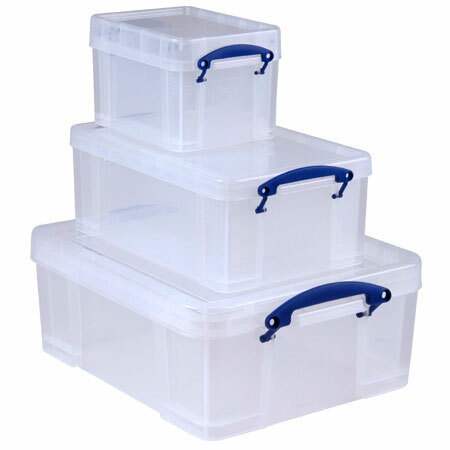 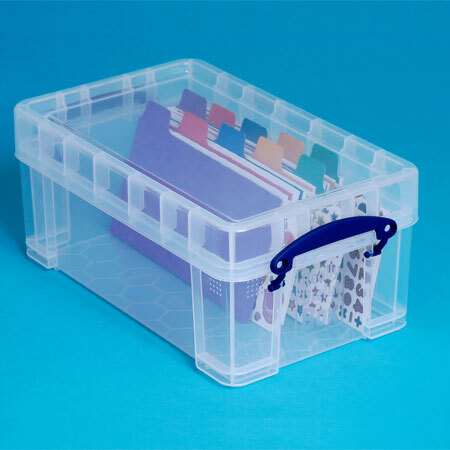 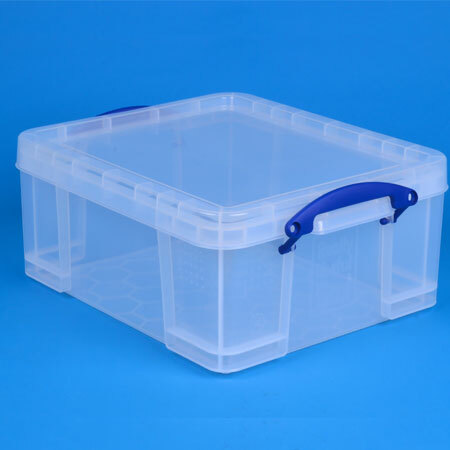 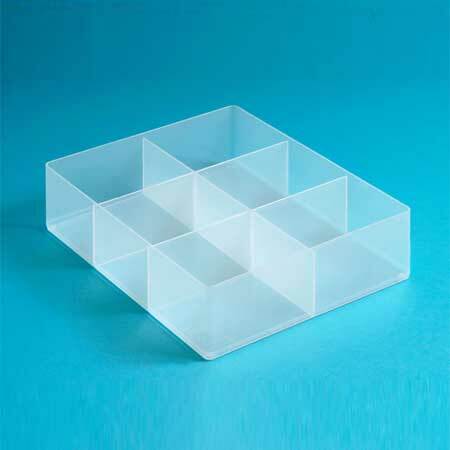 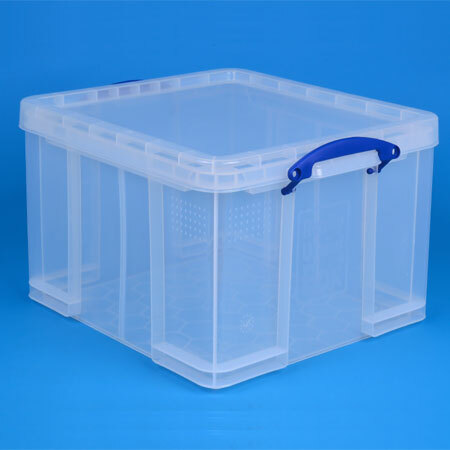 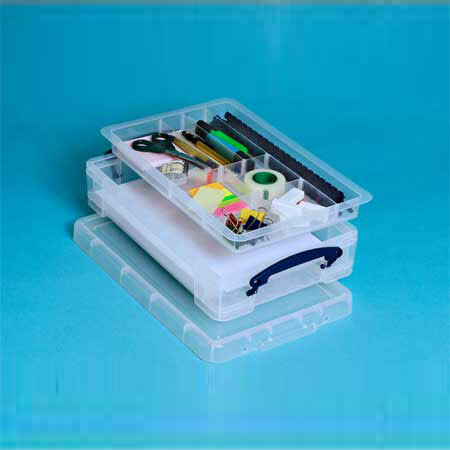 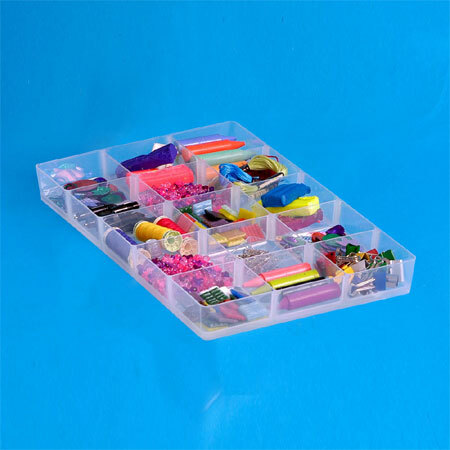 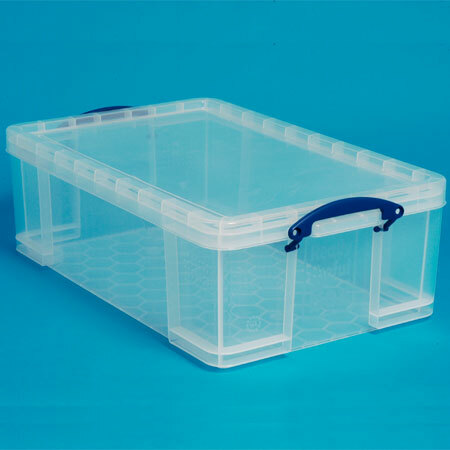 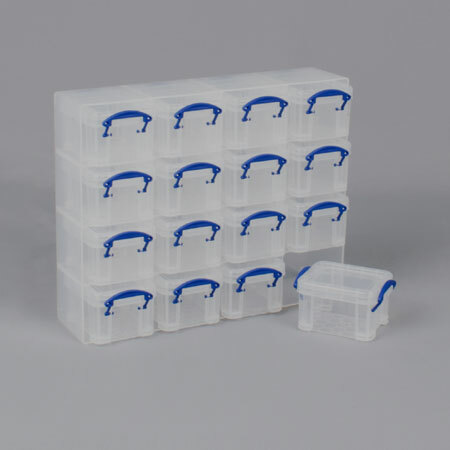 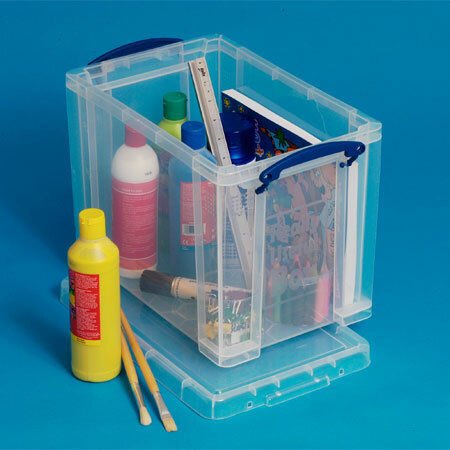 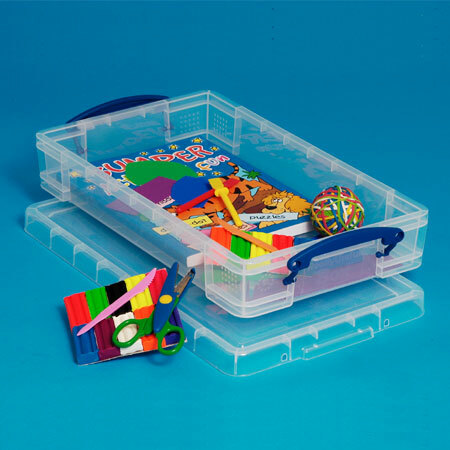 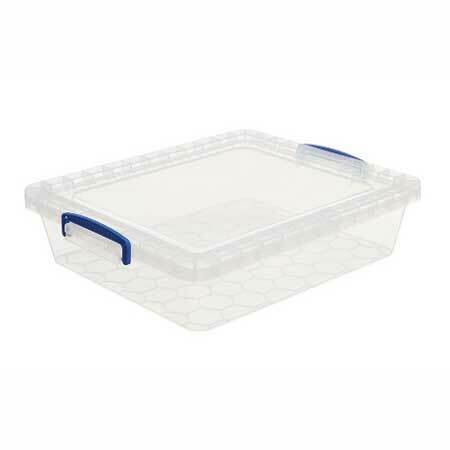 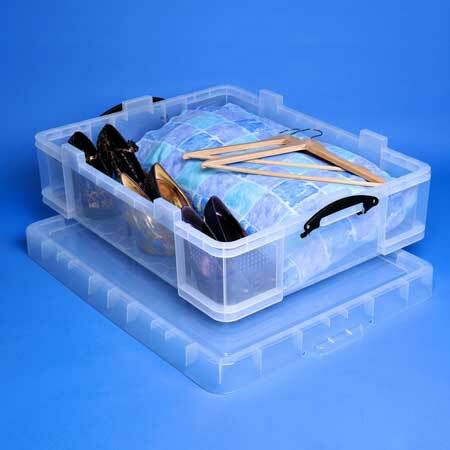 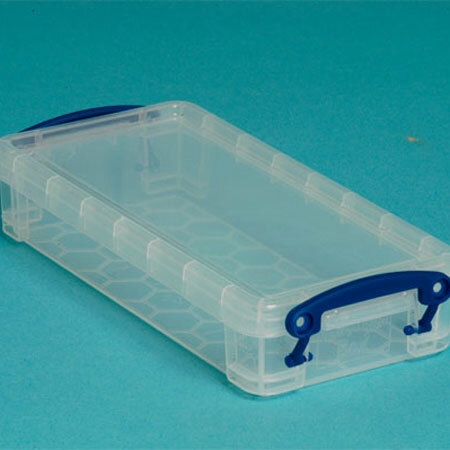 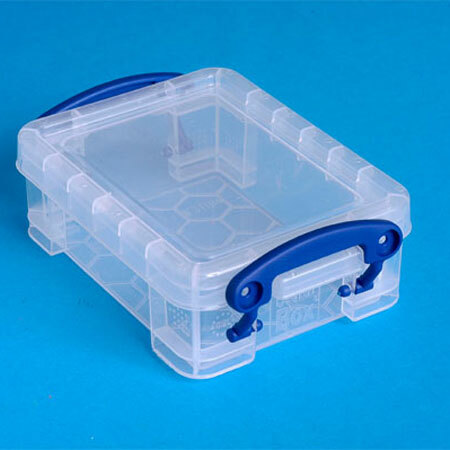 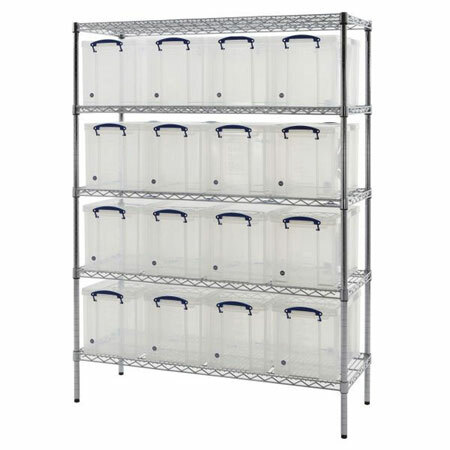 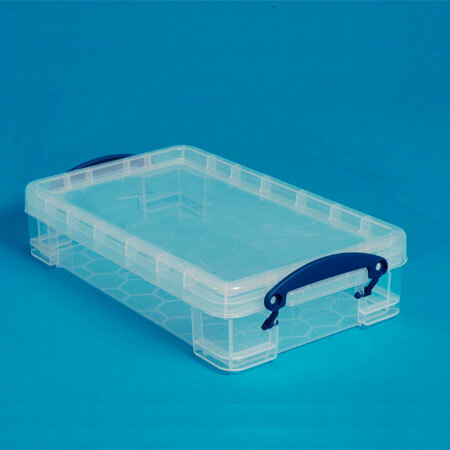 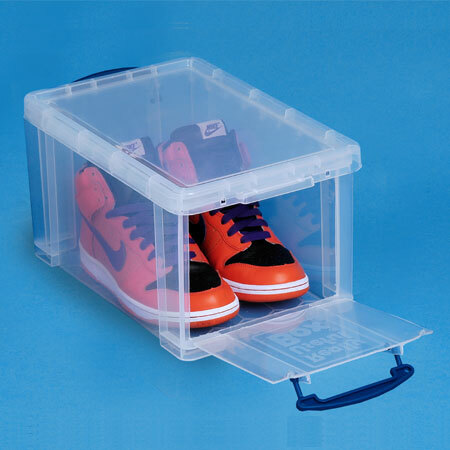 The clear plastic finish offers an additional advantage when in comes to storing your items in storage boxes as it means you can easily identify whats in each box add to that each box come complete with a clear lid which is secured to the box with locking handles.